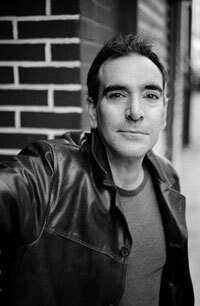 AARON POOCHIGIAN earned a PhD in Classics from the University of Minnesota and an MFA in Poetry from Columbia University. His book of translations from Sappho, Stung With Love, was published by Penguin Classics in 2009, and his translation of Apollonius’ Jason and the Argonauts was released October 2014. For his work in translation he was awarded a 2010-2011 Grant by the National Endowment for the Arts. His first book of original poetry, The Cosmic Purr (Able Muse Press), was published in 2012 and, winner of the 2016 Able Muse Poetry Prize, his second book Manhattanite will be out in the Fall of 2017. His thriller in verse, Mr. Either/Or, will be released by Etruscan Press in Fall of 2017. His work has appeared in such journals as The Guardian, POETRY and The Times Literary Supplement..